Includes: One Green Lantern Inflatable Gatling Gun. A Gatling gun is a rapid fire automatic weapon that can be shoulder mounted. 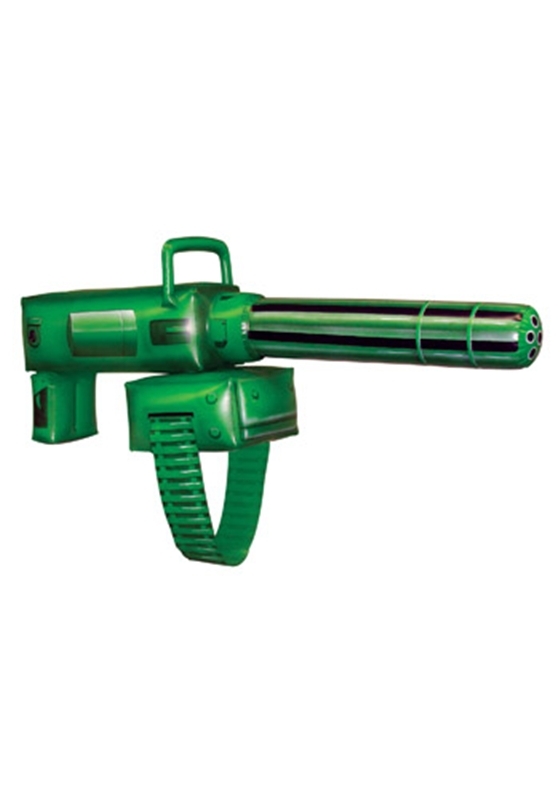 This Green Lantern Inflatable Gatling Gun. The details of the gun are printed on this super light prop that makes a great addition to a child's Green Lantern costume.